Congratulations to Guangdong Evergreen Feed Industry Co. for Winning the F3 Fish-Free Feed Challenge! Read more here. Also, make sure to check out our new F3 Fish Oil Challenge, which launched September 2017! 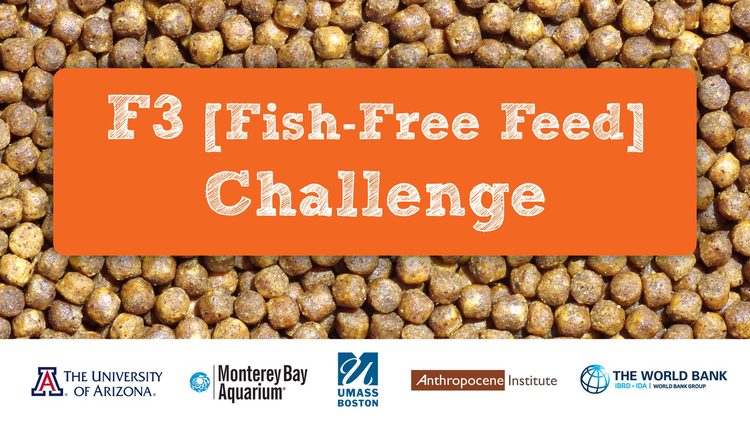 The F3 Fish-Free Feed Challenge is for an aquafeed company to either produce and sell the most seafood-free aquaculture feed using innovative formulations of proteins and lipids by the challenge end date, September 15, 2017, or be the first to reach 100,000 metric tons (mT) of seafood-free feed sales, verified by the judging committee. Many of the world’s wild fish stocks are in rapid decline. A major source of the decline in fish stocks is demand for wild fish meal and oil that typically ends up in feed for aquaculture. Seven of the world’s top ten fisheries (by volume) target forage or low trophic level fish, 90 percent of which are processed into fish meal and fish oil used in aquaculture feeds. Most scientists agree that for aquaculture to continue its necessary expansion, we must find alternative ingredients. What is more, forage or low trophic level fish are the food for cod, salmon, tuna, dolphins, sharks, seals, sea lions, penguins, sea birds, and whales. As a cornerstone in the ocean food chain, maintaining their stocks is of critical and strategic importance for preserving life in the oceans. In fact, experts think that the record numbers of starving sea lions and the nesting failure of brown pelicans this year is attributable to collapsing Pacific sardine fisheries from California to Peru. The industry has made tremendous strides to vastly increase yields of aquaculture products with limited supplies of fish meal and fish oil. While management of these forage fisheries continues to improve, more innovation is needed to find additional ingredients and cost effective formulations if the industry is to become even more sustainable, and compete with beef, poultry and pork. We want to encourage this innovation. The goal of this challenge is to reduce demand of wild-caught stocks, by accelerating the availability of cost-competitive, viable seafood-free options. The research community and forward looking feedmills have already utilized a large number of seafood free ingredients including grains, terrestrial animal by-products, distillery and brewery by-products, algae (seaweed) products, and other plant and animal processing by-products. We acknowledge the availability of responsible sources of fish meal and oil, but our concern is to look beyond this source. If fish meal and oil is limiting the future, how can aquaculture continue to grow? There are sufficient alternatives today for fish meal and fish oils, and we need to encourage the use of these alternatives. The F3 prize's goal is to showcase aquafeed companies who accelerate their sales of seafood-free alternatives. Sales are only possible if the company has innovated fish meal and fish oil free alternatives in cost and quality, such that it is commercially viable. Eventually, our hope is that these innovations lead to a new product category for consumers, the equivalent of 'grass-fed seafood', where seafood that is innovative and more environmentally friendly receives special attention. The prize will go to the company that either sells the most seafood-free aquaculture feed by the Challenge end date, September 15, 2017, or is first to sell 100,000 mT of seafood-free feed, verified by the judging committee. The sum total of aquaculture feeds sold for a variety of aquacultured species (for salmon, tilapia, carp, catfish, etc.) will be counted so long as they are free of fishery products and by-products. Due to the difficulty of parsing out seafood sources, squid, shrimp and krill as well as byproduct meals and oils will not be counted. Terrestrial animal by-products and GMO grains are considered to be admissible ingredients. A single prize of the total funds pledged will be awarded to the first company that meets the winning criteria. The challenge will conclude on September 15, 2017 or when the judging committee has verified a company has sold 100,000 mT of qualifying feed, whichever comes first. The Challenge is open only to companies that brand and sell feed to aquaculture businesses. These companies can also include the qualifying F3 sales volumes of their licensees only if licensee sales volumes are not included in their own revenue reports, i.e. their sales volumes are not double counted. Channel partners to such companies, including but not limited to, their respective suppliers of ingredients, contract manufacturers, processors, distributors, Formula Licensees, marketers, resellers, and retailers are not eligible on their own to compete in F3, but can partner with a feed producer to compete. More information and examples here. Companies, please note: you do not need to be selling 100,000 mT of seafood-free feed as of today to participate; 100,000 mT is only the sales target at which the prize will be awarded if reached prior to the challenge end date. Partnership and licensee information must be sent to f3fishfreefeed@gmail.com (see FAQ section for requirements). 1. You have the authority to enter the challenge on behalf of the company. 2. Your company brands and sells feed to aquaculture companies. 3. You agree that you are the owner of the submission and that you have the rights and permissions to enter the submission. 4. You agree to share your ingredient lists for the qualifying feeds; 5. You agree to report sales volumes and buyers for the qualifying feeds; 6. 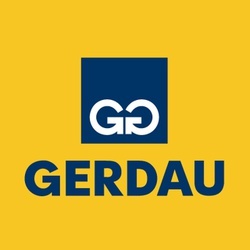 You hold at least $1 million in Commercial General Liability insurance with limits of at least $1 million combined single limit bodily injury and property damage liability. 7. You agree to comply with additional examinations and verifications by the Judges outlined in the Challenge agreement. 8. You agree that if you win, to appear at two different venues to receive the prize. At the judging committee's expense, feed samples from the mill and/or randomly selected from farms will be submitted for lab analyses to confirm lack of fisheries products. The judges may also verify volume by comparing sales figures with the aquaculture production volume from the buyer's farms. This information, with the exception of sales volumes, will be held in confidence by the judging committee and used only for the purpose of determining the winner of the prize. The sales volumes will be periodically tallied and displayed on the F3 website. The complete judging criteria and Challenge terms are embedded in the online registration agreement. On or before September 30, 2016, each company must submit their feed for examination by the Judges by sending the feed ingredients and feed samples to the University of Arizona (1140 E. South Campus Drive, Forbes Building, Room 306, Tucson, AZ 85721 USA Attn: Kevin Fitzsimmons). Feed samples must include at least one (1) kilogram of each "feed type" that the company would like to have qualified in connection with this challenge. "Feed type" means any distinct formulation to be used to feed one or more species or life stages of marine life. The sample should be submitted with the attending label printed with the guaranteed analysis and list of ingredients. Alternatively, a sample of a commercial bag of feed with the label sewn on would be acceptable as well. Among other analyses, these samples will be independently tested for proximate analyses, lipid analyses, as well as genetic identification to ensure that no fish, squid or crustacean components are contained within. We do NOT require the formulation of the diet as we assume that is the company's intellectual property. On or before the 20th day of January, and 15th day of April, July, and September 2017, each company must submit their quarterly sales volume information for verification by the Judges by sending a list of (i) all their customers, and their gross volume of feed sold, and (ii) the foregoing information set forth in (i) for all their licensees' sales of their qualifying feed to f3fishfreefeed@gmail.com. Note: the judges may conduct random site visits to customers to verify sales statistics. *No submissions will be accepted after the submission deadlines. Incomplete submissions will not be accepted. Challenge Status: The Challenge registration period is now closed. Challenge Funding: To-date, the challenge has received more than $140K of crowdsourced funds, with the prize now totaling $200,100. The Challenge is still accepting donations to increase the prize amount.